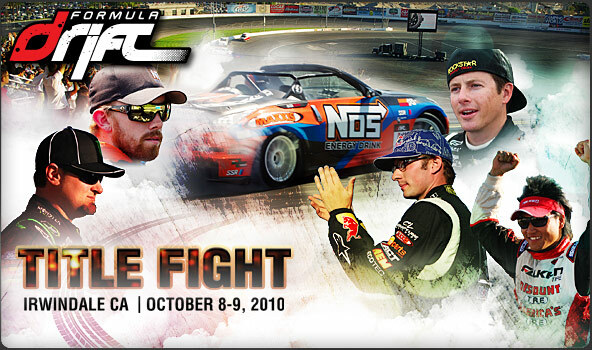 Long Beach, Calif. – September 10, 2010 – Formula DRIFT Round 7: Title Fight tickets are on-sale now. Tickets can be purchased online with both general admission and VIP tickets available. The 2010 season will come to a close on October 9 and a new Formula DRIFT champion will be crowned. 13 nations will be represented on the competition field at the famous Toyota Speedway at Irwindale also known as the “House of Drift.” Formula DRIFT has become the focal point and center of international drifting showcasing the best drifters from around the globe. With the merger of the FD ProAm Nationals into the Formula DRIFT Pro Championship series finale, the rising stars of the sport will share center stage and have the chance to showcase their talent at the biggest drifting event of the season. The event will also feature the Fatlace One of One Showcase car show, driver autographs, open pits, huge vendor village, free giveaways from sponsors, and more. Round 7: Title Fight tickets are available via the Formula DRIFT website at www.formuladrift.com. Ticket prices start at $27 online with reserved tickets available for Saturday’s competition day. 2-day packages are also available along with VIP ticket packages. 25 August 2010, for immediate release: Aurimas “Odi” Bakchis, 27, was awarded a Formula Drift professional driver’s license at Las Vegas Motor Speedway after being named champion of the 2010 Vegas Pro Am series on Saturday, 21 August 2010. The final Vegas Pro Am round took place on the same course utilized by the Formula Drift Pro Championship only minutes after the Pro Am finished. Bakchis was awarded the license on the Formula Drift podium after only one season of drifting competitively in amateur events. A southern California local and seasoned rally driver, Bakchis placed first in two of the four 2010 Vegas Pro Am events and placed third on the 21 August 2010 event. Bakchis began drifting at Adam’s Motorsports Park in Riverside, California in February 2009 after purchasing a 1989 Nissan 240 SX and began competitively drifting after approximately eight months of practice. Bakchis also drove his “underpowered” Nissan to a second place finish at Round 2 of the Top Drift series at Willow Springs International Raceway and to an exciting win at the 2010 XDC Round 2 event in Las Vegas, Nevada. Sponsors including 702 Graphics, Clutch Masters, Dstroyr, Godspeed Project, R Rated Motorsports, and Turboimport.com have represented Bakchis throughout the 2010 drift season. A promising driver, Bakchis intends to aggressively compete in the 2011 Formula Drift Pro Championship series. Long Beach, Calif. – June 25, 2010 – Formula DRIFT continued the new DriftStream with YoParts.com at Round 3: The Gauntlet registering over 200,000 unique viewers watching the event live for the second event in a row. 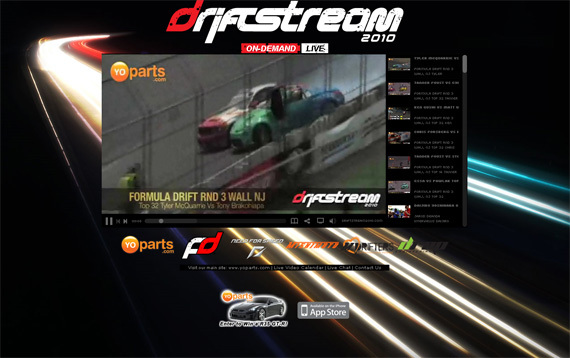 Formula DRIFT and YoParts.com partnered with Justin.tv to distribute the LiveStream of Round 3: The Gauntlet at Wall Stadium in New Jersey. Over 128 countries tuned in to watch the over 1,000,000 minutes of action streamed in a 24-hour period, the largest of any of the events to date. This event featured multiple camera angles including an exclusive “starting line” camera and enhanced scoring displays. The coverage also included footage live from the Drivers’ meeting and exclusive coverage from the “Throttle Thursday” event. The Drift Stream will continue at Round 4: Throwdown on July 9-10 in Monroe, WA when Formula DRIFT returns to Evergreen Speedway. LOS ANGELES, CALIFORNIA – June 14, 2010 – Criterion reinvents Need for Speed™ Hot Pursuit for the connected generation. Criterion Games, a studio of Electronic Arts Inc. (NASDAQ: ERTS) announced today that the award-winning development team is making the latest installment in the renowned Need for Speed franchise. Inspired by the classic game of the same name, Criterion will reveal Need for Speed Hot Pursuit for the very first time today at the Electronic Entertainment Expo in Los Angeles. Launching in November 2010, Need for Speed Hot Pursuit brings the franchise back to its roots with intense cops vs. racer chases. Criterion also ups the ante with the introduction of an all-new online network called Need for Speed Autolog where players compare racing stats and automatically get personalized gameplay recommendations from their friends– a feature that is poised to transform online racing for the connected generation. Need for Speed Hot Pursuit players will experience the thrill of the chase and the rush of the escape as they play through full careers as both a cop and a racer – solo or connected. 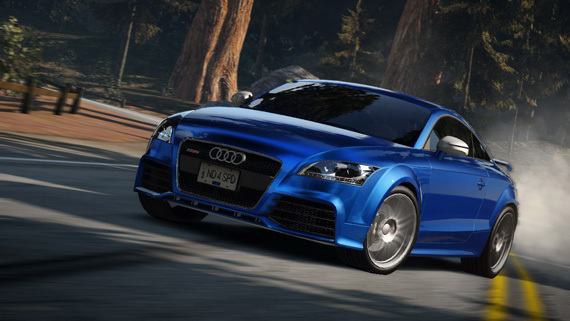 The high speed busts and heart-stopping getaways are all connected via Need for Speed Autolog. This network not only connects friends for epic head-to head pursuits and races, but also enables players to compare performances and stats, thereby setting the stage for the ultimate in social competition. Craig Sullivan, Creative Director of the game said, “At Criterion, we’ve been playing Need for Speed since it was first introduced on 3DO. We are honored and excited by the opportunity to reinvent the franchise for today’s connected audience. Our goal has been to create cops vs. racers pursuits that are so fun, fast and exciting it really brings to life the adrenaline and intensity of the high speed cop pursuit experience with your friends”. Developed by Criterion Games, Need for Speed Hot Pursuit will be available on November 16, 2010 in North America and on November 18 and 19, 2010 in Europe on the Xbox 360® videogame and entertainment system, PlayStation®3 computer entertainment system and PC. 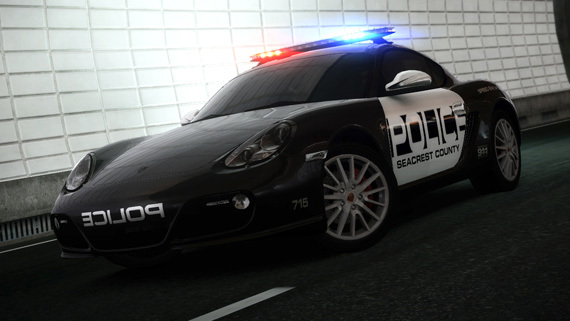 Need for Speed Hot Pursuit will also be available on the Wii™ and is being developed by Exient. For more information on Need for Speed, please visit http://www.needforspeed.com. Or become a fan on Facebook at www.facebook.com/needforspeed and follow us on Twitter www.twitter.com/needforspeed.